Upload the archive to a folder on the server and unzip it. Create a database and user for the database. 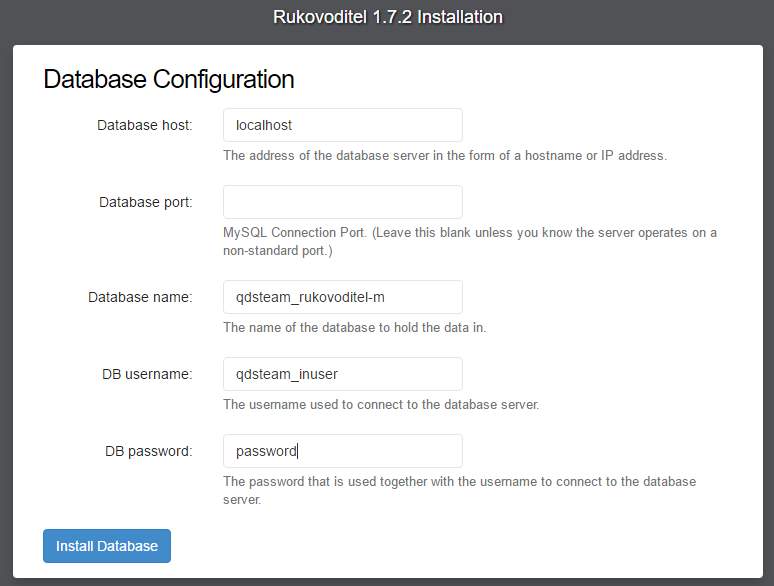 First download the Rukovoditel archive. Go to the hosting control panel. Navigate to the root folder of the site, in our case it’s “/home/mycompany/public_html/”. Go to the folder by clicking on it 2 times. 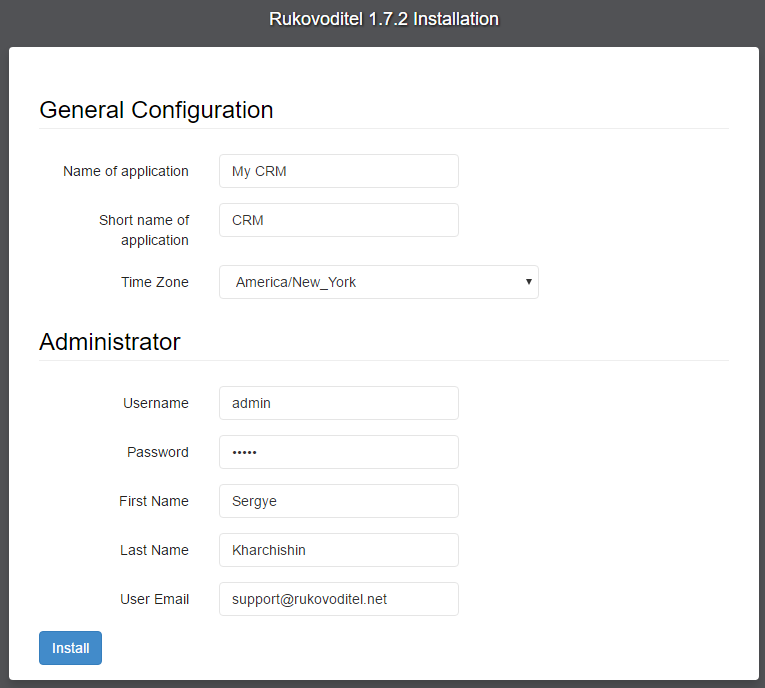 If necessary, create an additional folder in which you installed the Rukovoditel, e.g. “crm” and navigate to this folder. Click on “Upload” in the top menu. After the upload is complete select the archive by clicking on it and click “Extract” in the top menu. Perhaps on your control panel create a database and user occurs in a single step, then the following steps are not needed. And the final step — add the user to the database. On this page locate the section “Add user to a database” and select from the list of created user and database. You should see the installer. Select language. The next step is to check the environment. On the page Database Configuration enter the parameters for a previously created database. After installing the database, complete the basic settings for the system. And click on the Install button. Upon completion of the installation, delete the zip file, which you downloaded in the beginning, and remove the /install/ folder.